Flower FormLight pink short spikes flowers. 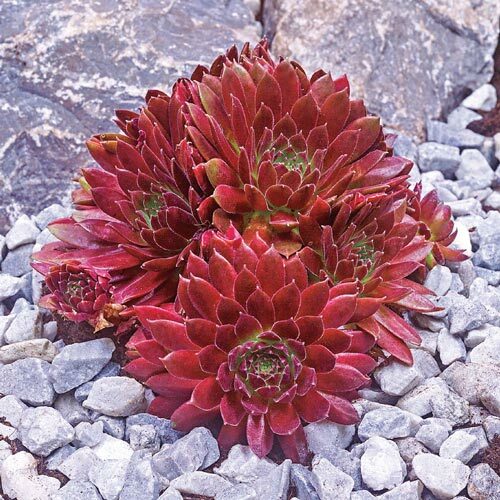 PruningPlants can be divided easily by pulling "chicks" and replanting them. 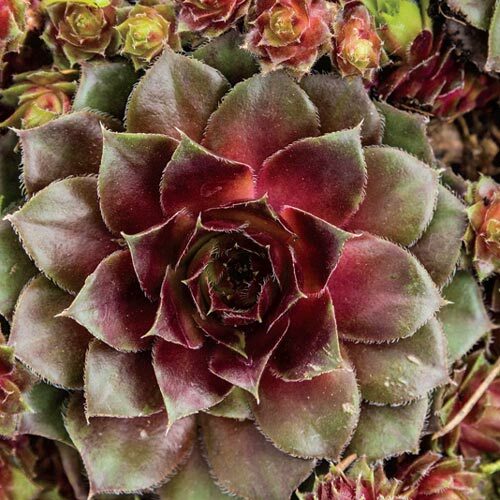 Additional InformationSempervivum which is one large rosette "hen" sprouts smaller rosettes callled "chicks" As the plant age the "hen" will die out and be replaced with "chicks"
Planting InstructionsSet plant at same level it is growing at in the container. Firm soil and water thoroughly. Full sun is best for quicker flowering and higher quality plants.